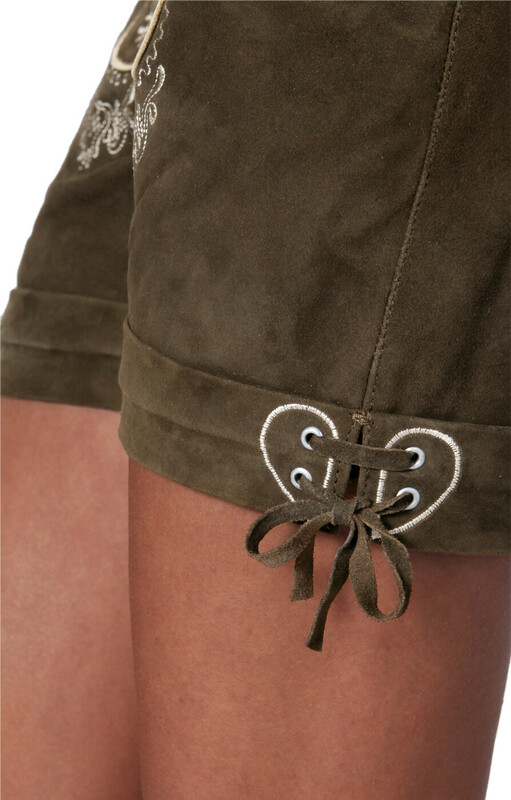 Elfi leather shorts - Eye catching effects. 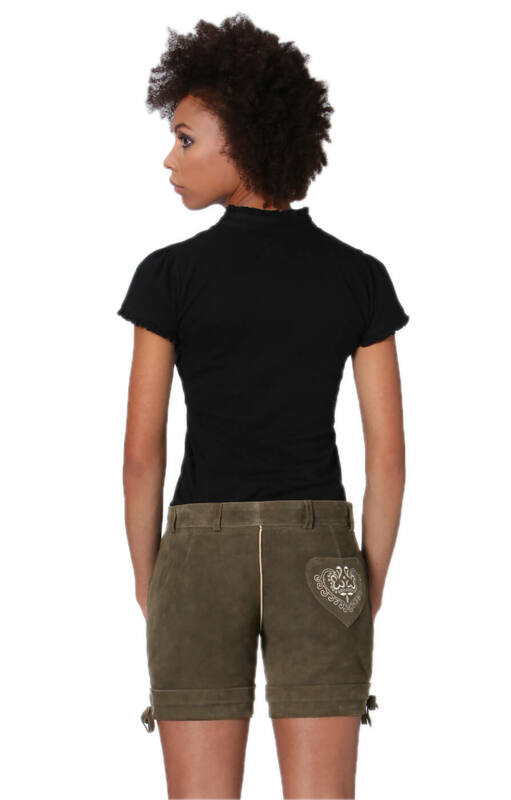 Made from 100% real goatskin, these leather shorts offer high quality design and decorative touches. 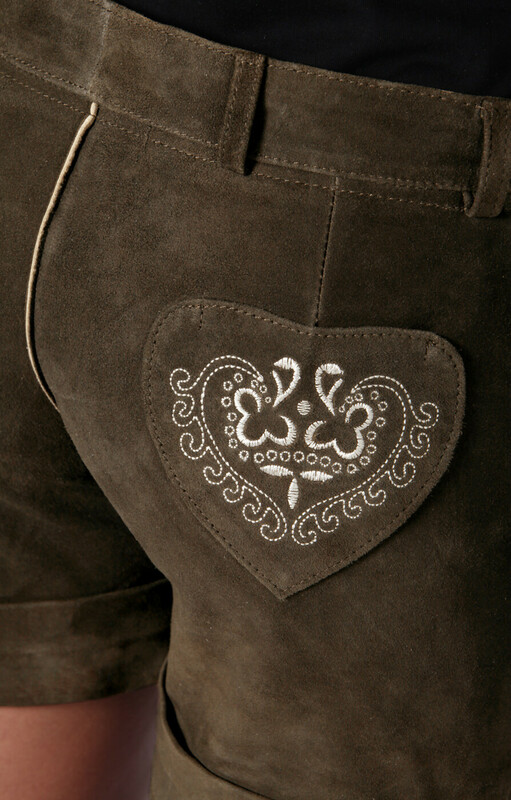 The latter notably involves detailed embroidery on the shorts' front, while a striking heart on the back panels helps to make the shorts a dynamic choice for any occasion. Combining traditional style with elaborate touches, these Elfi leather shorts can be worn with formal dress shirts and blouses, while also providing a cute complement to more every day tops. 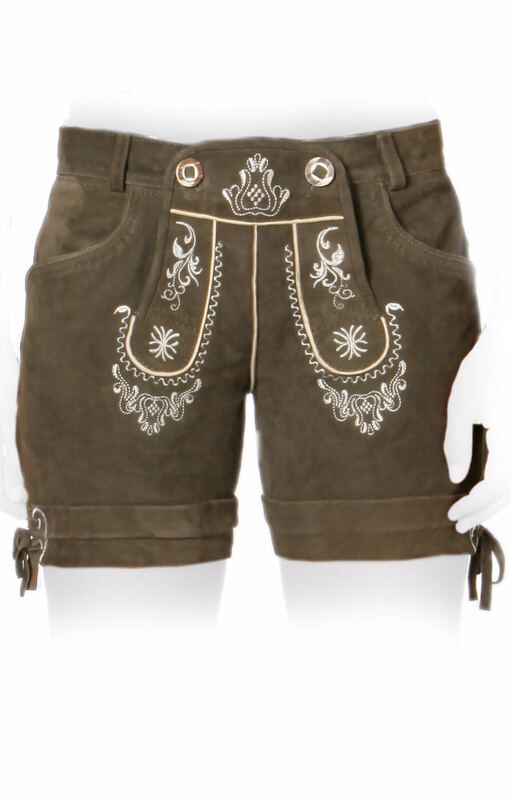 Ideal for wearing at oktoberfest, the shorts represent a good way of standing out from the crowd, while offering flexibility for a range of different outfits. Klasse Verarbeitung, sitzt sehr knackig! Sehr gute Qualität, Passform jedoch nicht perfekt, schlägt vorne "blase"
Sonst jedoch alles in Ordnung! Qualität sehr gut1 Wird in der Freizeit getragen!! Empfehlen würde ich es meinen Freundinnen!